Click here to see a pdf of the full 2018-2019 Calendar. Sign up in the Student Hub for your recital time choice. CALL TIME: Will be Announced closer to the day. No need to sign up, all students in classes are expected to participate, if you can't, please let us know asap. 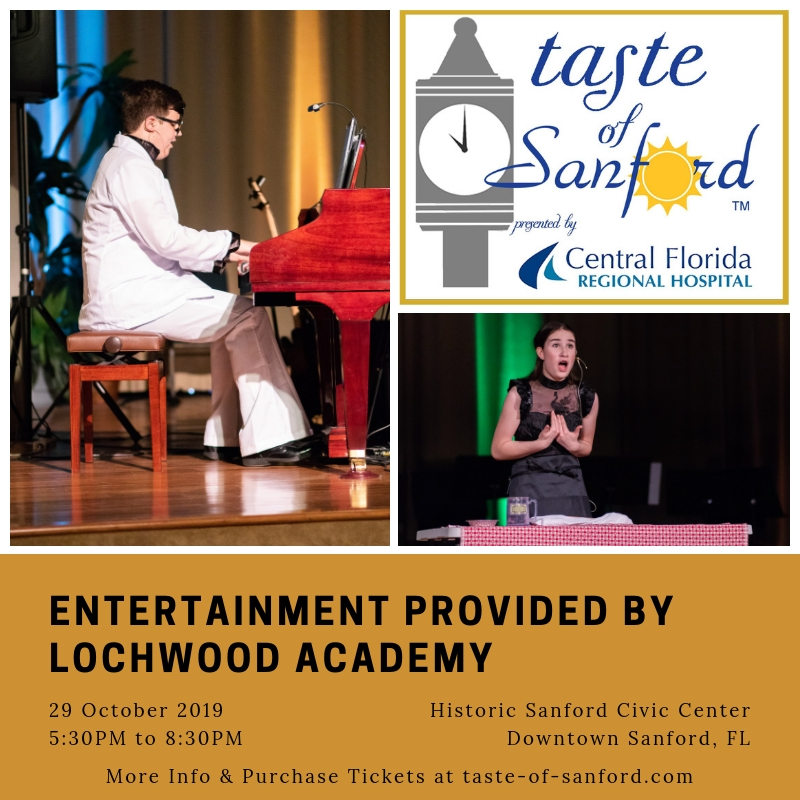 Lochwood Academy will be providing the entertainment for the Taste of Sanford event held on Monday, October 29th from 5:30-8:30pm. Come out and taste samples from all local restaurants and support your local musicians.